Tiger Woods at the 2015 Hero World Challenge in December. We've heard a lot about Tiger Woods this week. First, there was a report that his back condition had worsened and his career could be over, followed by a denial from his agent Mark Steinberg. Then Tiger responded, posting a video of himself hitting a smooth 9-iron on a swing simulator before making an appearance at the Ryder Cup team building dinner at Jack Nicklaus' house. 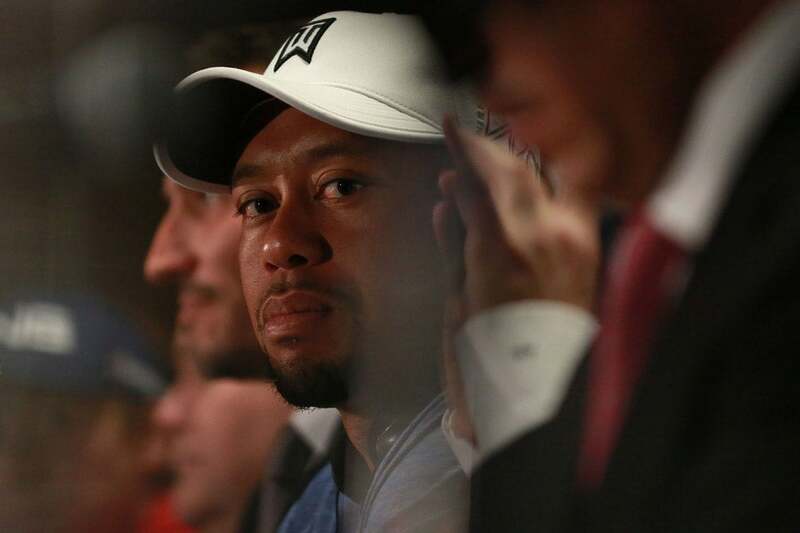 Now we know what the 14-time major winner was thinking as rumors swirled across the Internet. Jimmy Walker told Golf Channel about an exchange he had with Woods at Nicklaus' dinner: "I talked to him for just a second. I said, 'Wow, you're standing up, you're not dead.' He said, 'I know, everyone thinks I'm dead now.' I said, 'I'm glad you're here,' and he said, 'I wouldn't miss it.'" As of now, Woods will indeed be present at Hazeltine for the Ryder Cup, but as one of Davis Love's assistant captains, not a playing member of the team.